Four drawers and two cabinets with interior shelves bring solid storage solutions in this lovely double sink bathroom vanity. 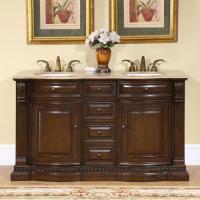 A white marble top creates a luxurious counter top above two under mount bisque sinks. 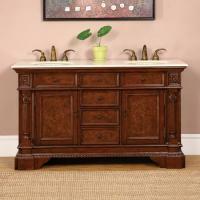 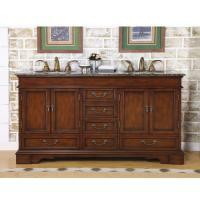 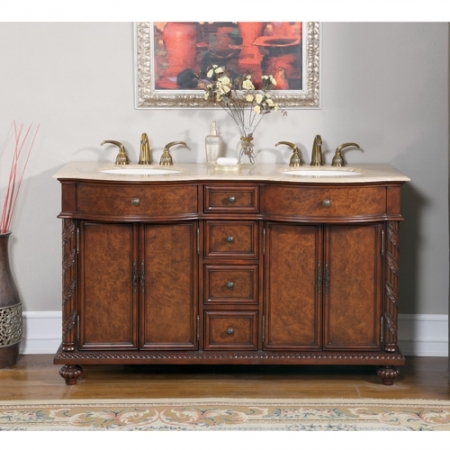 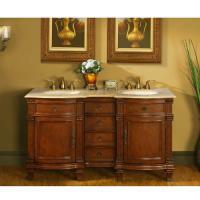 Additional Sizes: Also available in 48 Inch Single Sink Bath Vanity, 60 Inch Double Sink Bath Vanity.